Unopened and empty 7 UP united we stand pop can is worth how much. Just a quick google and we can find some items listed on ebay. They range in price from $1 opened, to $10 unopened. This is their asking price though. I noted that there was a set of all 52 states, unopened in mint condition being sold for $349 total. That's about $6.70 a can. Obviously they wouldn't split the set up. 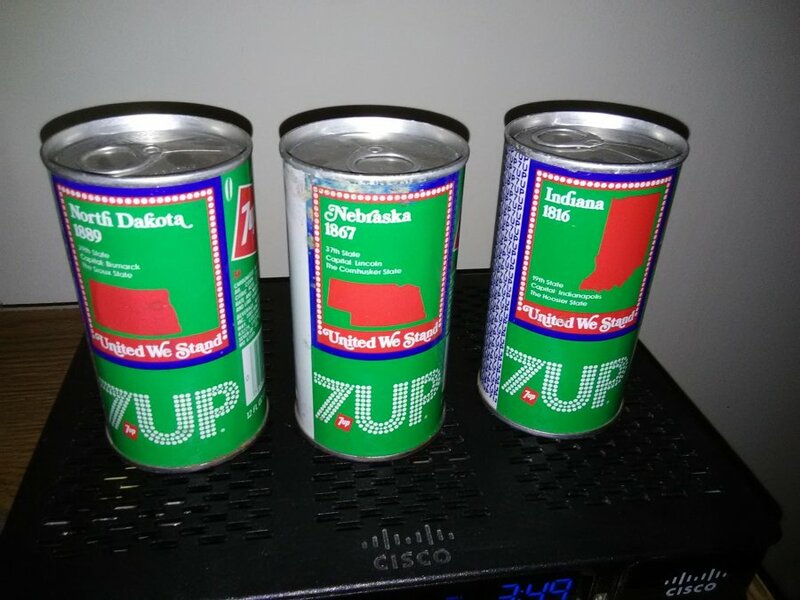 I'd say, that if your cans were the ones a collector needed to make their set complete, you could quite possibly get around $10 a can (all depends on the acquirer really). Not long ago on the news I seen where these types a cans can go for alot, but like on eBay not many want to collect them.I will hold onto them for the amount that's bid on um now a days.